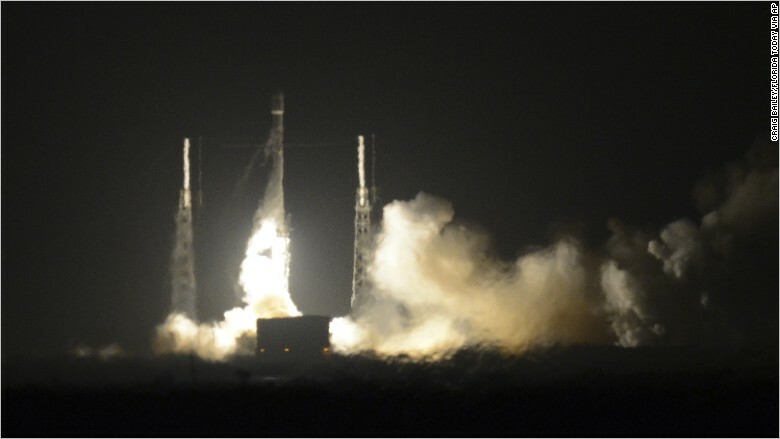 SpaceX's Falcon 9 rocket lifts off Dec. 21. The primary mission was to put 11 small satellites into low orbit for Orbcomm's (ORBC) new satellite network. But SpaceX was also attempting something audacious: Its plan called for the booster stage rockets to return to earth, and gently settle onto a landing pad.